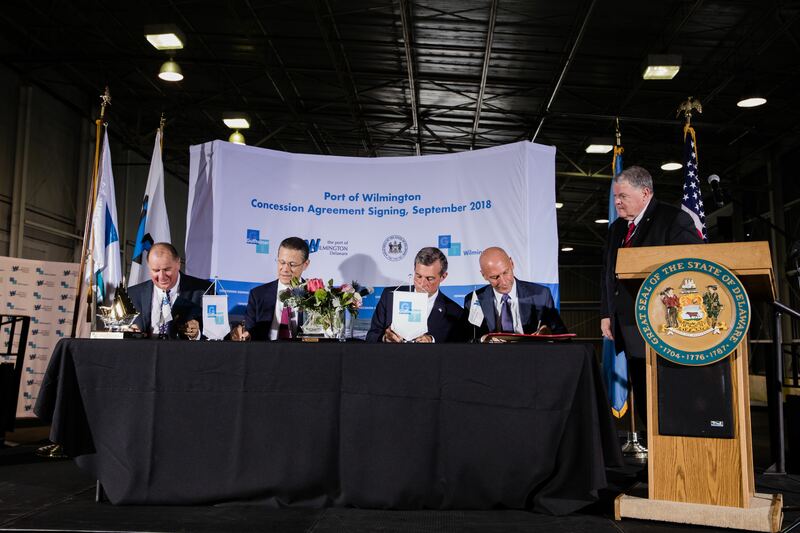 MAKING IT OFFICIAL: Gulftainer and Delaware sign Port of Wilmington concession agreement. Gulftainer: $600 million expansion will turn Wilmington, Del., into one of the largest gateways on the east coast. Gulftainer expansion in Delaware will include new 1.2 million TEU container terminal at former DuPont site. Port of Wilmington, Delaware, becomes largest ever operation by a UAE company in the US. At a public signing ceremony held in Wilmington, Governor John Carney of Delaware signed the agreement with Badr Jafar, chairman of the executive board of Gulftainer, in the presence of Delaware Secretary of State Jeffrey Bullock and other state officials, as well as Yousef Al Otaiba, the UAE ambassador to the United States, and other dignitaries. The 50-year concession follows a year of negotiations and a thorough evaluation of Gulftainer’s capabilities globally, including in the United States, where it operates the Canaveral Cargo Terminal in Port Canaveral, Florida, and provides services to the US Armed Forces as well as the US space industry. 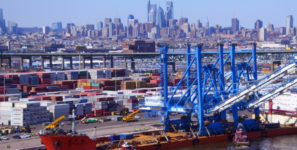 The Delaware concession agreement completes a preliminary agreement between Gulftainer and the state of Delaware, as well as the completion of a formal review by the Committee on Foreign Investment in the United States (CFIUS), granting Gulftainer exclusive rights to manage the port. Plans for the port also include development of all cargo terminal capabilities at the facility and enhancement of its overall productivity. Gulftainer also will establish a training facility at the development site specifically for the ports and logistics industries that is expected to train up to 1,000 people per year. The Port of Wilmington is the top North American port for fresh fruit imports into the United States and has the largest dockside cold storage facility in the country.